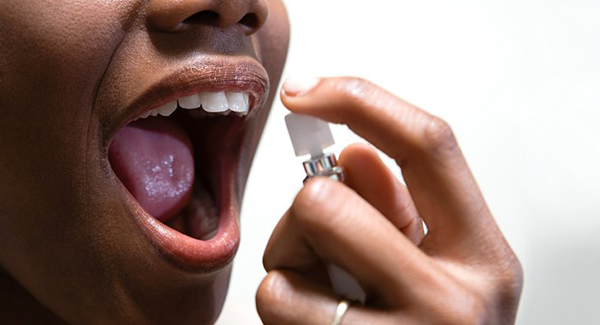 Halitosis (bad breath) is an embarrassing condition to have. Oftentimes, the people around someone with bad breath wouldn’t say because they would want to spare that person the embarrassment but this never helps. On the contrary, it only serves to prolong the condition because if people don’t know what’s wrong with them, they cannot solve the problem. We however admit that it is a sensitive issue that takes a lot of bravery to broach, which is why we have decided to talk about it on the blog. What most people don’t know is that it’s easy to improve your breath and keep your teeth and gums healthy at the same time. Trying the simple steps below will surely make your mouth feel fresh and clean all day long. One of the ways bacteria build up in the mouth is through plaque, the sticky substance that accumulates on the teeth. Bacteria can also build up over time when food gets trapped within your teeth. To solve this problem, brush your teeth at least twice daily and floss at least once. If you’re concerned about your breath, do both a little more often. However, don’t overdo it because brushing too much or hard can wear down your teeth and make them vulnerable to decay. The back of the tongue is the most notorious culprit for housing smelly bacteria that cause bad breath so it’s advisable to brush it as well. A toothbrush might be uncomfortable but there are tongue scrapers designed to clean the tongue and remove bacteria, food debris, and dead cells that brushing alone can’t take care of. Other than the fresh, minty feeling it leaves in your mouth, mouthwash adds an extra layer of oral protection by getting rid of the bacteria your toothbrush can’t reach. Be sure to use the ones that actually do the job though. When your mouthwash is out of reach, you can still keep your breath fresh by rinsing your mouth with plain water after eating to remove food particles that get stuck in your teeth. Ah, some food items, as healthy as they are, end up leaving your mouth smelly. Onions and garlic are big offenders and sadly, brushing after you eat them doesn’t help. This is because when broken down, the smelly substances enter their way into your bloodstream and travel to your lungs, where you breathe them out. We can’t say you shouldn’t eat them so here’s a compromise, avoid them whenever you’re going to be out or around people. Sugar is bacteria’s best friend because they use it to make the acid that wears down your teeth and causes bad breath. However, chewing gum stimulates saliva production, which is the mouth’s natural defence mechanism against the plaque acids which cause tooth decay and bad breath. Dryness in the mouth can cause tooth decay and bad breath because you won’t be making enough saliva (see number 5 above). If your mouth is dry, drink plenty of water during the day. Quadruple threat here; tobacco smoking causes cancer, damages gums, stains the teeth and yeah, gives you bad breath. Breath mints and gum can only go so far so to avoid the long-term health risks as well as keep your mouth feeling fresh; it is recommended that smoking should be avoided altogether. Having fresh breath is a big deal because it is good for your oral health and self-esteem. If your bad breath continues despite your best efforts, make an appointment with a doctor to see if your problems are related to a medical condition.